The tournament was rich in surprises and upsets: Germany, Spain and Italy were eliminated in the group stage, while France, the defending champions, were knocked out in the quarter-finals by Greece. The Portuguese team recovered from an opening defeat against Greece to reach the final, eliminating England and the Netherlands along the way. For the first time in a major football tournament, the last match featured the same teams as the opening match. Portugal was defeated by Greece with a goal from Angelos Charisteas. Greece's triumph was unexpected, considering that they had only qualified for two other major tournaments, the UEFA Euro 1980 and the 1994 FIFA World Cup, where they failed to win a single match. Group A opened with a shock as Greece, ranked outsiders from start, defeated the hosts 2–1. Giorgos Karagounis put the Greeks ahead after only seven minutes, and Angelos Basinas made it 2–0 from the penalty spot on 51 minutes. An injury time goal from Cristiano Ronaldo proved no more than a consolation. Greece then drew with Spain, before losing to Russia in their last group stage game. Portugal, meanwhile, recovered from their opening defeat by defeating Russia 2–0, who had their keeper Sergei Ovchinnikov sent off. Nuno Gomes scored the winning goal against Spain, which ensured Portugal finished first place in Group A. Greece advanced to the quarter-finals as runners-up, ahead Spain on goals scored. France, the holders, and England ended their Group B encounter in furious fashion as the French scored twice in injury time to go from 1–0 down to 2–1 winners. Zinedine Zidane scored in the first minute of injury time and two minutes later, an error by the English defence gave a France penalty and Zidane fired in the winner. England's other two games were memorable for the performances of their young star Wayne Rooney. Only 18 at the time, Rooney's goal-scoring ability proved instrumental in victories over Switzerland (3–0) and Croatia (4–2). 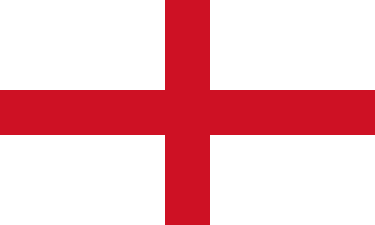 France and England qualified from the group as winners and runners-up, respectively. In the first quarter-final match between England and Portugal, the English opened the score after only two minutes, through Michael Owen. Portugal's constant attacking pressure from then on resulted in Hélder Postiga's 83rd-minute equaliser. A controversial incident came in the dying minutes when Owen hit the Portuguese crossbar, resulting in a Sol Campbell header that appeared to have given England the lead again, but was ruled out for what the referee Urs Meier deemed a foul on the Portuguese goalkeeper Ricardo. The sides exchanged goals in extra-time, sending the match to a penalty shoot-out. 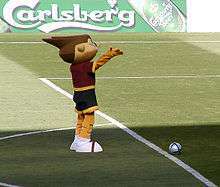 Portugal won 6–5, as goalkeeper Ricardo saved a penalty from Darius Vassell, and then scored himself the winning goal. The Greeks, meanwhile, continued to stun everybody. Firm defensive play and an Angelos Charisteas goal on 65 minutes helped them defeat France 1–0 and send Greece through to the semi-finals. This victory made Greece the first team to defeat both the holders and the hosts in the same tournament. Sweden and the Netherlands played out an exciting encounter, but neither side could find a breakthrough and the match ended goalless, even after a dramatic extra-time, in which Sweden, through Fredrik Ljungberg, came as close to scoring as hitting the inside of the Dutch goalpost. The Dutch ultimately progressed after winning the penalty shoot-out 5–4, their first ever victory on penalties in a major tournament. The last quarter-final match saw the Czechs dispatch Denmark, as a two-goal effort from Milan Baroš helped seal a 3–0 win. The final was a repeat of the opening game of the tournament and Portugal were hoping to avenge their opening day loss. Portugal furiously attacked and dominated the possession but once again, sturdy defending and goalkeeping from Greece kept the Portuguese hosts off the scoreboard. Just before the hour mark, Greece earned a corner kick from which Angelos Charisteas scored. Portugal continued to press after the goal but even with five minutes of injury time they could not find an equaliser. Greece won the match 1–0 and were crowned European champions, a title that they were given a 150–1 chance of winning before the tournament. 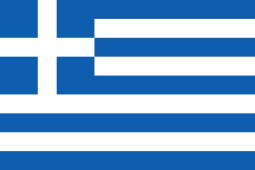 All of Greece's wins in the knockout stage came in an identical manner: a 1–0 win, with the goal being a header off a cross from the right wing. Portugal became the first host nation to lose in a European Championship final. ↑ Bold indicates champion for that year. Italic indicates host for that year. 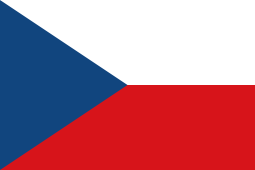 ↑ From 1960 to 1992, the Czech Republic competed as Czechoslovakia. ↑ From 1972 to 1988, Germany competed in the European Championship final tournament as West Germany. ↑ From 1960 to 1988, Russia competed as the Soviet Union, and in 1992 as the Commonwealth of Independent States. The pot allocations were based on the UEFA national team coefficient which measured performance of teams in the 2002 FIFA World Cup qualifying and UEFA Euro 2004 qualifying. The coefficient was calculated by dividing the number of all points scored (three points for a win, one for a draw) by the number of all matches played. Results from the final tournaments, play-off matches and friendly games were all ignored. As host country, Portugal were unranked and automatically placed in Group A. The remaining 15 teams were split into four pots, with title-holders France seeded alongside Sweden and the Czech Republic in the first pot. For reference, the European zonal rankings calculated for FIFA World Rankings from 19 November 2003 are given in tables below. ↑ Hosts Portugal (coefficient 2,400; rank 13) were automatically assigned to position A1. ↑ Defending champions France (coefficient 3,000; rank 1) were automatically assigned to Pot 1. The final tournament was played in ten venues located in eight different cities. 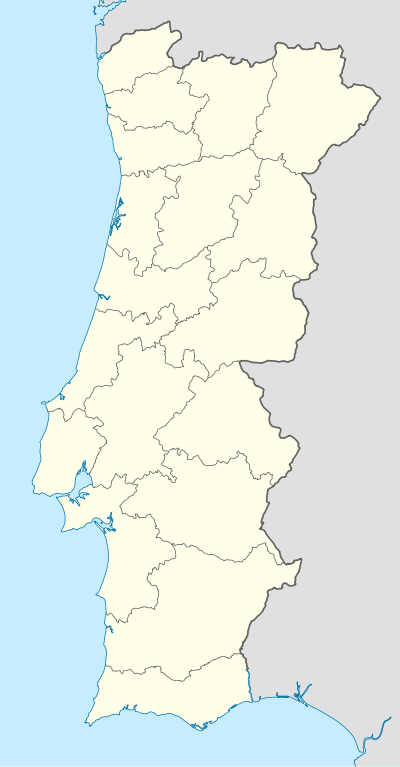 Lisbon and Porto, the two biggest cities, had two venues each, while Aveiro, Braga, Coimbra, Faro-Loulé, Guimarães and Leiria had one venue. 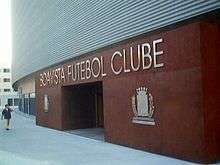 In order to meet UEFA's requirements on venue capacity and infrastructure, seven new stadiums were built – Estádio Municipal de Aveiro (Aveiro), Estádio Municipal de Braga (Braga), Estádio Algarve (Faro-Loulé), Estádio Dr. Magalhães Pessoa (Leiria), Estádio da Luz (Lisbon), Estádio José Alvalade (Lisbon), and Estádio do Dragão (Porto) – and three underwent renovation works – Estádio Cidade de Coimbra (Coimbra), Estádio D. Afonso Henriques (Guimarães), and Estádio do Bessa Século XXI (Porto). 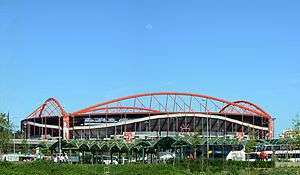 The Estádio da Luz was the largest stadium with a tournament capacity of 65,000 seats, and served as the venue for the final. The opening ceremony and match took place at the Estádio do Dragão. For the list of all squads that played in the tournament, see UEFA Euro 2004 squads. 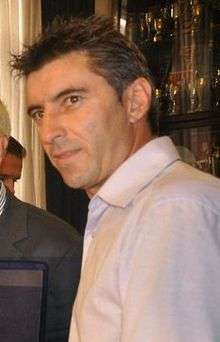 Milan Baroš was the top goalscorer of the tournament with five goals. after seeing a video where he committed the offence. ↑ "Euro Championships lowdown". BBC Sport (British Broadcasting Corporation). 29 November 2003. Retrieved 26 April 2010. ↑ "Stadium deals inked". UEFA.com (Union of European Football Associations). 10 March 2003. Retrieved 11 June 2012. ↑ Holland, Phil; Williamson, Martin (29 April 2012). 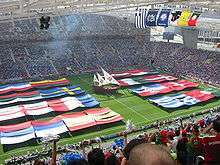 "History of the Euros: European Championships 2004". ESPN. Retrieved 17 June 2012. ↑ McCarra, Kevin (5 July 2004). "Charisteas the hero as Greece defy the odds". The Guardian. Guardian News and Media. Retrieved 24 May 2012. ↑ "Euro 2004 build-up in pictures". BBC Sport (British Broadcasting Corporation). 12 June 2004. Retrieved 10 June 2012. ↑ "Portugal 1–2 Greece". BBC Sport (British Broadcasting Corporation). 12 June 2004. Retrieved 10 June 2012. ↑ "Greece 1–1 Spain". BBC Sport (British Broadcasting Corporation). 16 June 2004. Retrieved 10 June 2012. ↑ "Russia 2–1 Greece". BBC Sport (British Broadcasting Corporation). 20 June 2004. Retrieved 10 June 2012. 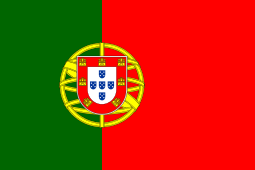 ↑ "Russia 0–2 Portugal". BBC Sport (British Broadcasting Corporation). 16 June 2004. Retrieved 16 June 2012. 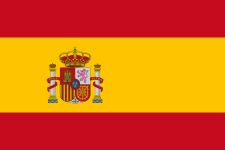 ↑ "Spain 0–1 Portugal". BBC Sport (British Broadcasting Corporation). 20 June 2004. Retrieved 16 June 2012. ↑ "Group A". BBC Sport (British Broadcasting Corporation). 25 May 2004. Retrieved 10 June 2012. ↑ "France 2–1 England". BBC Sport (British Broadcasting Corporation). 13 June 2004. Retrieved 10 June 2012. 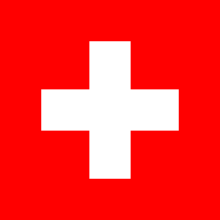 ↑ "England 3–0 Switzerland". BBC Sport (British Broadcasting Corporation). 17 June 2004. Retrieved 10 June 2012. ↑ "Croatia 2–4 England". BBC Sport (British Broadcasting Corporation). 21 June 2004. Retrieved 10 June 2012. ↑ "Group B". BBC Sport (British Broadcasting Corporation). 25 May 2004. Retrieved 10 June 2012. ↑ "Sweden 5–0 Bulgaria". BBC Sport (British Broadcasting Corporation). 14 June 2004. Retrieved 10 June 2012. 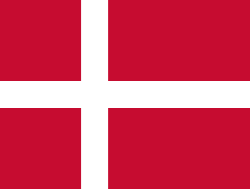 ↑ "Bulgaria 0–2 Denmark". BBC Sport (British Broadcasting Corporation). 18 June 2004. Retrieved 10 June 2012. ↑ "Italy 2–1 Bulgaria". BBC Sport (British Broadcasting Corporation). 23 June 2004. Retrieved 10 June 2012. 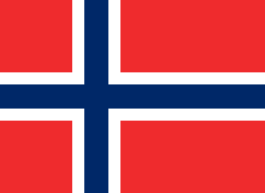 ↑ "Denmark 2–2 Sweden". BBC Sport (British Broadcasting Corporation). 22 June 2004. Retrieved 10 June 2012. ↑ "Group C". BBC Sport (British Broadcasting Corporation). 22 June 2004. Retrieved 10 June 2012. ↑ "Italy angry at rivals' draw". BBC Sport (British Broadcasting Corporation). 23 June 2004. Retrieved 11 June 2012. ↑ "UEFA will not investigate". BBC Sport (British Broadcasting Corporation). 22 June 2004. Retrieved 6 June 2008. ↑ "Czech Rep 2–1 Latvia". BBC Sport (British Broadcasting Corporation). 15 June 2004. Retrieved 10 June 2012. ↑ "Holland 2–3 Czech Rep". BBC Sport (British Broadcasting Corporation). 19 June 2004. Retrieved 10 June 2004. ↑ "Germany 1–2 Czech Rep". BBC Sport (British Broadcasting Corporation). 23 June 2004. Retrieved 10 June 2012. ↑ McNulty, Phil (24 June 2004). "Great survivors put to the sword". BBC Sport (British Broadcasting Corporation). Retrieved 10 June 2012. ↑ "Group D". BBC Sport (British Broadcasting Corporation). 28 May 2004. Retrieved 10 June 2012. ↑ "Portugal break England hearts". BBC Sport (British Broadcasting Corporation). 24 June 2004. Retrieved 10 June 2012. ↑ "France 0–1 Greece". BBC Sport (British Broadcasting Corporation). 25 June 2004. Retrieved 10 June 2012. ↑ "Holland end Swede dream". BBC Sport (British Broadcasting Corporation). 26 June 2004. Retrieved 10 June 2012. 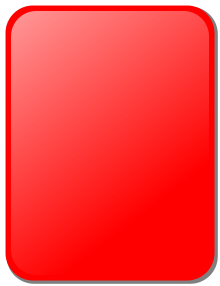 ↑ "Czech Republic 3–0 Denmark". BBC Sport (British Broadcasting Corporation). 27 June 2004. Retrieved 10 June 2012. ↑ "Portugal 2–1 Holland". BBC Sport (British Broadcasting Corporation). 30 June 2004. Retrieved 10 June 2012. ↑ "Greece 1–0 Czech Rep". BBC Sport (British Broadcasting Corporation). 1 July 2004. Retrieved 10 June 2012. ↑ McNulty, Phil (4 July 2004). "Greece win Euro 2004". BBC Sport (British Broadcasting Corporation). Retrieved 10 June 2012. ↑ Bull, Andy; Doyle, Paul; Bandini, Paolo (4 December 2009). "The Joy of Six: memorable sporting moments of the decade". The Guardian. Guardian News and Media. Retrieved 8 December 2009. ↑ "Spotlight on Euro 2004™ draw". UEFA.com (Union of European Football Associations). 24 January 2002. Retrieved 13 June 2012. ↑ "Play-off draws on horizon". UEFA.com (Union of European Football Associations). 9 October 2003. Retrieved 13 June 2012. 1 2 3 "Lisbon draw looms large". UEFA.com (Union of European Football Associations). 28 November 2003. Retrieved 1 June 2012. ↑ "Neighbours face finals meeting". UEFA.com. Union of European Football Associations. 30 November 2003. Archived from the original on 2 December 2003. Retrieved 20 June 2016. ↑ "Finalists line up for Lisbon". UEFA.com (Union of European Football Associations). 20 November 2003. Retrieved 7 July 2012. ↑ "Venues Guide – Aveiro". BBC Sport (British Broadcasting Corporation). 25 May 2004. Retrieved 17 June 2012. ↑ "Venues Guide – Braga". BBC Sport (British Broadcasting Corporation). 25 May 2004. Retrieved 17 June 2012. ↑ "Venues Guide – Faro/Loule". BBC Sport (British Broadcasting Corporation). 25 May 2004. Retrieved 17 June 2012. ↑ "Venues Guide – Leiria". BBC Sport (British Broadcasting Corporation). 25 May 2004. Retrieved 17 June 2012. ↑ "Venues Guide – Lisbon Luz". BBC Sport (British Broadcasting Corporation). 25 May 2004. Retrieved 17 June 2012. ↑ "Venues Guide – Lisbon Jose Alvalade". BBC Sport (British Broadcasting Corporation). 25 May 2004. Retrieved 17 June 2012. ↑ "Venues Guide – Porto Dragao". BBC Sport (British Broadcasting Corporation). 25 May 2004. Retrieved 17 June 2012. ↑ "Venues Guide – Coimbra". BBC Sport (British Broadcasting Corporation). 25 May 2004. Retrieved 17 June 2012. ↑ "Venues Guide – Guimaraes". BBC Sport (British Broadcasting Corporation). 25 May 2004. Retrieved 17 June 2012. ↑ "Venues Guide – Porto Bessa". BBC Sport (British Broadcasting Corporation). 25 May 2004. Retrieved 17 June 2012. 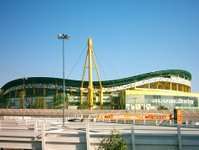 ↑ "Nancy removed from list of Euro 2016 venues". Reuters. 2 December 2011. Retrieved 17 June 2012. ↑ "1.5 million Euro fans for Portugal". CNN.com (Cable News Network). 5 April 2004. Retrieved 2 July 2012. 1 2 3 4 5 "Tickets go on sale for Euro 2004™". UEFA.com (Union of European Football Associations). 29 April 2003. Retrieved 1 July 2012. ↑ Matos Pereira, Rui (24 April 2003). "Just the ticket for Euro 2004™". UEFA.com (Union of European Football Associations). Retrieved 1 July 2012. ↑ Matos Pereira, Rui (29 April 2003). "Legends gather for ticket launch". UEFA.com (Union of European Football Associations). Retrieved 1 July 2012. ↑ "Ticket sales soar for Euro 2004™". UEFA.com (Union of European Football Associations). 31 July 2003. Retrieved 2 July 2012. ↑ "Fans warned over ticket purchases". UEFA.com (Union of European Football Associations). 4 December 2003. Retrieved 3 July 2012. ↑ "High demand for finals tickets". UEFA.com (Union of European Football Associations). 2 April 2004. Retrieved 3 July 2012. ↑ Teixeira, Diogo (3 June 2003). "Lisbon holds broadcasters gathering". UEFA.com (Union of European Football Associations). Archived from the original on 26 June 2003. Retrieved 10 July 2012. ↑ "Broadcasting tops workshop agenda". UEFA.com (Union of European Football Associations). 27 June 2003. Archived from the original on 10 August 2003. Retrieved 10 July 2012. ↑ "Training centres revealed". 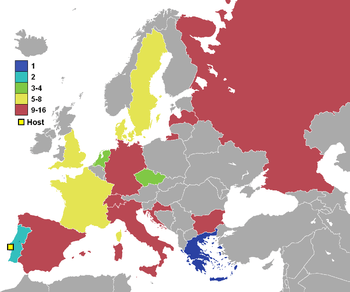 Union of European Football Associations. 5 February 2003. Archived from the original on 24 June 2003. Retrieved 18 June 2016. 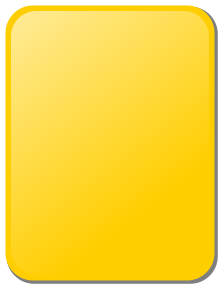 ↑ "Euro 2004™ referees named". UEFA.com (Union of European Football Associations). 4 December 2003. Archived from the original on 12 December 2003. Retrieved 10 June 2012. ↑ "UEFA Euro 2004 Match List". UEFA.com. Retrieved 13 January 2014. ↑ "Euro 2004™ schedule decided". UEFA.com (Union of European Football Associations). 10 March 2003. Retrieved 4 July 2012. 1 2 "Tiebreakers explained". BBC Sport (British Broadcasting Corporation). 18 June 2004. Retrieved 7 March 2008. 1 2 "Format". UEFA.com (Union of European Football Associations). 3 August 2002. Retrieved 4 July 2012. ↑ "Goals scored". UEFA.com (Union of European Football Associations). Retrieved 12 June 2012. ↑ "Goals scored (continued)". UEFA.com (Union of European Football Associations). Retrieved 12 June 2012. ↑ "Own goals against". UEFA.com (Union of European Football Associations). Archived from the original on 7 July 2004. Retrieved 12 June 2012. 1 2 "All-star squad revealed". UEFA.com (Union of European Football Associations). 5 July 2004. Archived from the original on 7 July 2004. Retrieved 5 July 2012. ↑ "Euro stars to be named". UEFA.com (Union of European Football Associations). 2 July 2004. Archived from the original on 6 July 2004. Retrieved 5 July 2012. ↑ "Net gains for brilliant Baroš". UEFA.com (Union of European Football Associations). 4 July 2004. Archived from the original on 6 July 2004. Retrieved 5 July 2012. ↑ Chaplin, Mark (5 July 2004). "Zagorakis is Euro's finest". Lisbon: UEFA.com (Union of European Football Associations). Archived from the original on 7 July 2004. Retrieved 5 July 2012. ↑ "Euro 2004 prize money up 66 percent". ESPN. Entertainment Sports Programming Network. Reuters. 6 November 2003. Retrieved 4 September 2014. ↑ "UEFA announces total income for Euro 2004". Sportcal. 1 June 2004. Retrieved 4 September 2014. ↑ "UEFA Euro 2004™ logo unveiled". UEFA.com (Union of European Football Associations). 14 May 2002. Retrieved 6 July 2012. ↑ "The significance of seven". UEFA.com (Union of European Football Associations). 1 December 2002. Archived from the original on 23 June 2004. Retrieved 6 July 2012. ↑ "Passion Concept – Storyline" (PDF). UEFA.com (Union of European Football Associations). Retrieved 6 July 2012. ↑ "Portugal to unite for Euro 2004™". UEFA.com (Union of European Football Associations). 4 July 2003. Retrieved 10 July 2012. ↑ "Unite for Euro 2004". Algarve Resident. 1 August 2003. Retrieved 10 July 2012. 1 2 "Kinas™ makes Porto debut". UEFA.com (Union of European Football Associations). 29 March 2003. Retrieved 14 June 2012. ↑ "Kinas". UEFA.com (Union of European Football Associations). 16 March 2003. Archived from the original on 22 June 2004. Retrieved 12 June 2012. ↑ "Furtado flying high". UEFA.com (Union of European Football Associations). 1 June 2004. Archived from the original on 4 July 2004. Retrieved 6 July 2012. 1 2 "'Força' unveiled as official song". UEFA.com (Union of European Football Associations). 5 April 2004. Retrieved 27 June 2012. ↑ Hart, Simon (7 July 2004). "A-Z of UEFA Euro 2004™". UEFA.com (Union of European Football Associations). Retrieved 27 June 2012. ↑ "Going out with a bang". UEFA.com (Union of European Football Associations). 4 July 2004. Retrieved 27 June 2012. 1 2 3 4 5 "Adidas on the ball for Euro". UEFA.com (Union of European Football Associations). 30 November 2003. Archived from the original on 4 February 2004. Retrieved 24 June 2012. ↑ "Adidas presents Roteiro as the official match vall of UEFA Euro 2004". Adidas. 1 December 2003. Archived from the original on 6 February 2004. Retrieved 24 June 2012. ↑ "Football Year 2004 – The most successful for Adidas". Adidas. 16 December 2004. Retrieved 24 June 2012. 1 2 Gowar, Rex (11 June 2004). "New Roteiro ball makes waves". Rediffmail India Limited. Retrieved 25 June 2012. ↑ "Euro 2004 ball criticised". BBC Sport (British Broadcasting Corporation). 20 February 2004. Retrieved 24 June 2012. ↑ "New Euro 2004 ball under fire from players". Daily Times. Pakistan. 9 June 2004. Retrieved 24 June 2012. ↑ "Trophy tour for Portugal". UEFA.com (Union of European Football Associations). 9 April 2004. Retrieved 26 June 2012. ↑ "Trophy embarks on Portuguese adventure". UEFA.com (Union of European Football Associations). 3 June 2004. Archived from the original on 5 June 2004. Retrieved 27 June 2012. ↑ "UEFA Appoints Warner Bros. Consumer Products Worldwide Licensing Agent for UEFA Euro 2004". Business Wire. FindArticles.com. 6 November 2002. Retrieved 8 July 2012. ↑ "UEFA seeks licensing agent for Euro 2004™". UEFA.com (Union of European Football Associations). 6 May 2002. Retrieved 8 July 2012. ↑ "Lisbon launch for licensing programme". UEFA.com (Union of European Football Associations). 10 February 2004. Retrieved 8 July 2012. ↑ "Second series of coins revealed". UEFA.com (Union of European Football Associations). 24 May 2004. Archived from the original on 11 June 2004. Retrieved 11 July 2012. ↑ "Stamps depict host cities". UEFA.com (Union of European Football Associations). 21 April 2004. Retrieved 14 July 2012. ↑ "UEFA Euro 2012 official sponsors" (PDF). Prasowy Warszawa. Retrieved 17 July 2012. ↑ "Eight partners sign-up for UEFA Euro 2004™". UEFA.com (Union of European Football Associations). 1 December 2002. Archived from the original on 11 June 2004. Retrieved 6 July 2012. ↑ "adidas becomes UEFA Euro 2004™ National Supporter". UEFA.com (Union of European Football Associations). 21 July 2003. Archived from the original on 19 April 2004. Retrieved 6 July 2012. ↑ "BenQ on board for Portugal". UEFA.com (Union of European Football Associations). 20 November 2003. Archived from the original on 5 June 2004. Retrieved 6 July 2012. ↑ "Canon on board for UEFA Euro 2004™". UEFA.com (Union of European Football Associations). 27 January 2003. Archived from the original on 29 October 2004. Retrieved 6 July 2012. ↑ "Carlsberg first to back Euro 2004™". UEFA.com (Union of European Football Associations). 22 March 2002. Archived from the original on 16 June 2004. Retrieved 6 July 2012. ↑ "Coca-Cola to sponsor Euro 2004™". UEFA.com (Union of European Football Associations). 17 May 2002. Archived from the original on 15 June 2004. Retrieved 6 July 2012. ↑ "JVC becomes Euro 2004™ partner". UEFA.com (Union of European Football Associations). 4 March 2003. Archived from the original on 17 June 2004. Retrieved 6 July 2012. ↑ "MasterCard continue UEFA partnership". UEFA.com (Union of European Football Associations). 12 March 2003. Archived from the original on 17 June 2004. Retrieved 6 July 2012. ↑ "McDonald's supports Euro 2004™". UEFA.com (Union of European Football Associations). 17 April 2002. Archived from the original on 18 June 2004. Retrieved 6 July 2012. ↑ "UEFA announce NTT Com partnership". UEFA.com (Union of European Football Associations). 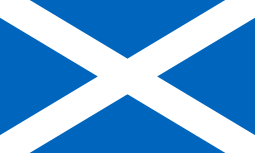 13 February 2003. Archived from the original on 14 July 2004. Retrieved 6 July 2012. ↑ "Portugal Telecom answers call". UEFA.com (Union of European Football Associations). 14 March 2003. Archived from the original on 22 June 2004. Retrieved 6 July 2012. ↑ "T-Mobile ring in for Portugal". UEFA.com (Union of European Football Associations). 22 October 2003. Archived from the original on 18 June 2004. Retrieved 6 July 2012. ↑ "BPI banking on finals success". UEFA.com (Union of European Football Associations). 24 April 2003. Archived from the original on 23 June 2004. Retrieved 6 July 2012. ↑ "Stamp of approval for CTT". UEFA.com (Union of European Football Associations). 6 December 2002. Archived from the original on 23 June 2004. Retrieved 6 July 2012. ↑ "Galp Energia named as National Supporter". UEFA.com (Union of European Football Associations). 17 February 2003. Archived from the original on 21 June 2004. Retrieved 6 July 2012. ↑ "Navigator joins journey to Euro 2004™". UEFA.com (Union of European Football Associations). 11 April 2003. Archived from the original on 20 June 2004. Retrieved 6 July 2012. ↑ "Vista Alegre Atlantis Group joins Euro 2004™". UEFA.com (Union of European Football Associations). 24 July 2003. Archived from the original on 21 June 2004. Retrieved 6 July 2012.